Definicire® is an active texturizing agent that recreates the hair protective lipid layer. 100% natural, based on functionalized jojoba and sunflower seed waxes, it ensures perfect hair discipline in all climates, and a comfortable smooth feel. 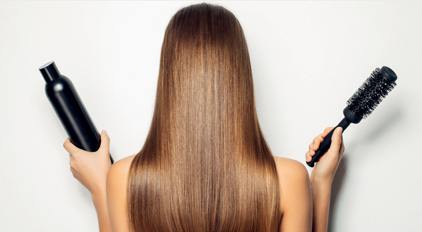 Silicones and quaternary compounds are the main cosmetic ingredients used as hair conditioners. They are both efficient, in different ways, but have limitations regarding biodegradability, build-up effect and image. In addition, they are not natural and are unlike the complex hair lipid layer. Gattefossé has placed its expertise in lipid chemistry at the service of haircare. Definicire® is a unique ingredient obtained by interesterification of jojoba wax and sunflower seed wax in presence of polyglycerol. Its composition has been optimized to recreate the performance of sebum and 18-MEA which are known to provide naturally the best protection of the hair. Healthy hair is hydrophobic. Definicire® reinforces the hydrophobicity of the hair. It acts as a lubricant decreasing friction between hair fibers and improves hair quality in both dry and humid conditions.